Perfect for your next conference or as a table favor. 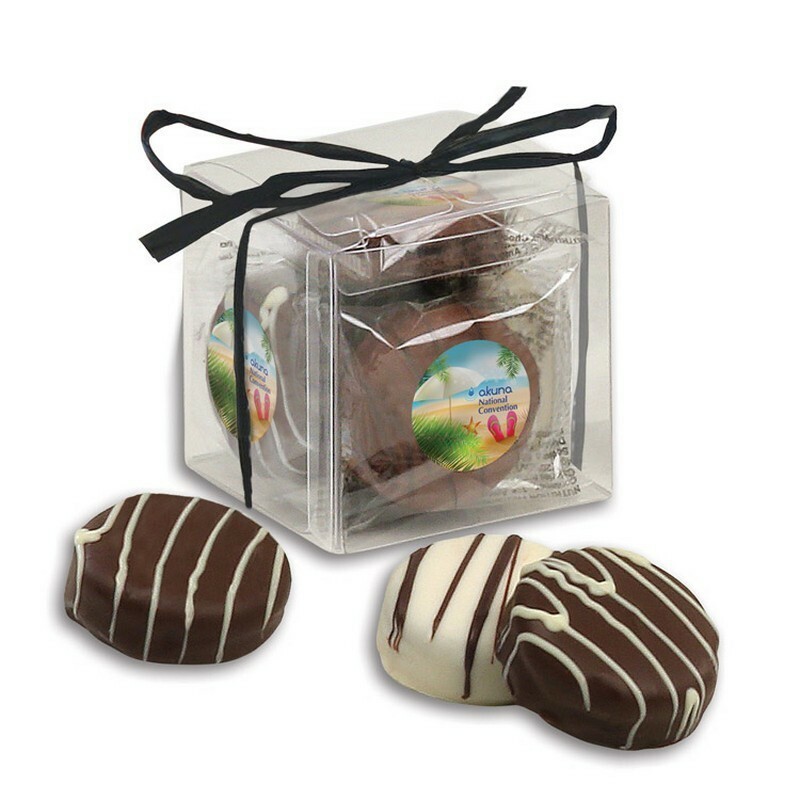 This clear cube comes stuffed with five chocolate covered Oreo cookies in a mix of milk, dark, and white chocolate. Each individually-wrapped Oreo cookie package is decorated with your 4-color logo or marketing message. Guaranteed to leave a sweet first impression!